Over the years, the Council has through workshops, seminars and commissioned research, produced several publications. 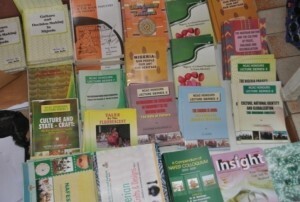 These publications serve as continuing cultural education and general enlightenment on Nigeria’s Arts and Culture. The Council has over twenty five (25) publications to its credit. This is a viable platform of promoting Nigerian Arts and Culture at both national and international level.